The first thing that strikes you as go up the driveway towards the course is the imposing and magnificent club house that stands high above the practice putting green and the first tee. The clubhouse is certainly impressive on the inside as well with a well-stocked club shop, a restaurant overlooking the course and well fitted out locker rooms - although these are perhaps a little on the small side for a club that has 27 holes. 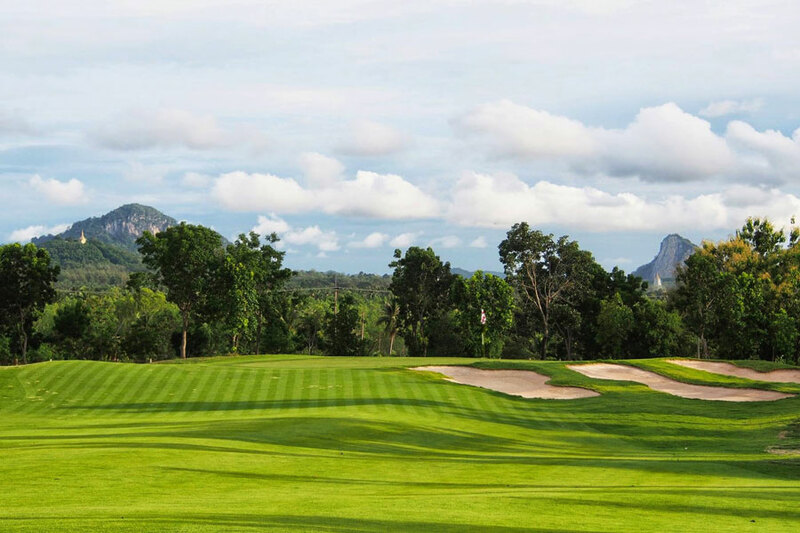 It had been sometime since I played Phoenix prior to my latest visited as quite frankly I had been disappointed and felt that the course was a little on the run down side and suffered from a drainage problem - especially after the course had been watered or there had been a downpour. I must say that I was pleasantly surprised on this visit to Phoenix as it was in excellent condition and there appeared to be no issues with drainage. The Mountain and Ocean is certainly my favourite pair of holes at Phoenix and I must admit that I have a preference for the Mountain Course although most people do tend to opt for the Ocean Course. The par-3 7th hole on the Ocean course is a favourite amongst many golfers although it can prove to be particularly challenging on a windy day with correct club selection playing an important role. An experienced caddie is a huge asset here. The fairways are lined with dense trees that are aesthetically pleasing although they are certainly a hazard. You will need to drive well if you are to score well as any drive into the trees will make an approach shot to the green almost impossible. Being overly aggressive on this course tends to get you into trouble and the fast greens are prime example of that with three and four putts being a common occurrence. The bag drop off is at the main entrance where you will find a number of staff waiting to assist you. The reception is again well staffed and everything runs smoothly and efficiently and is something else appears to be a big improvement at the club from the past. 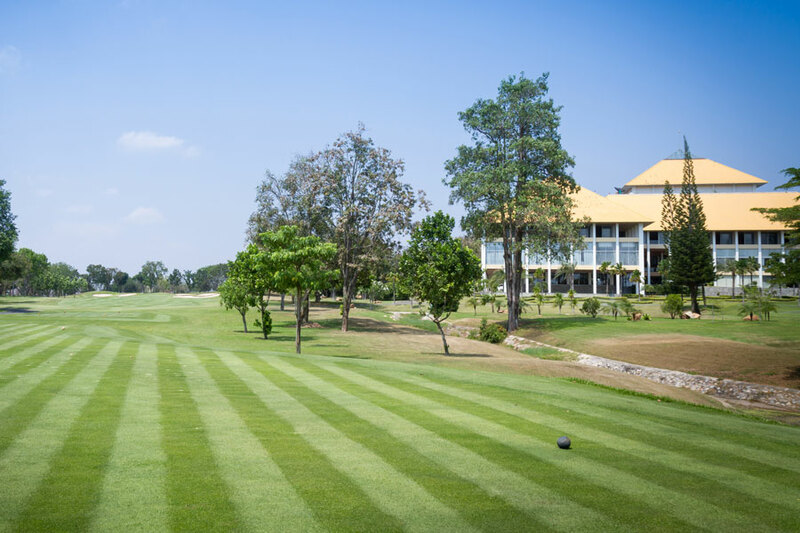 The clubhouse and the facilities within it are excellent and building has a very open and airy feel about it. The locker rooms are some of the best in the area with superb showers and large towels but as mentioned the criticism would be that they are perhaps a little on the small side. 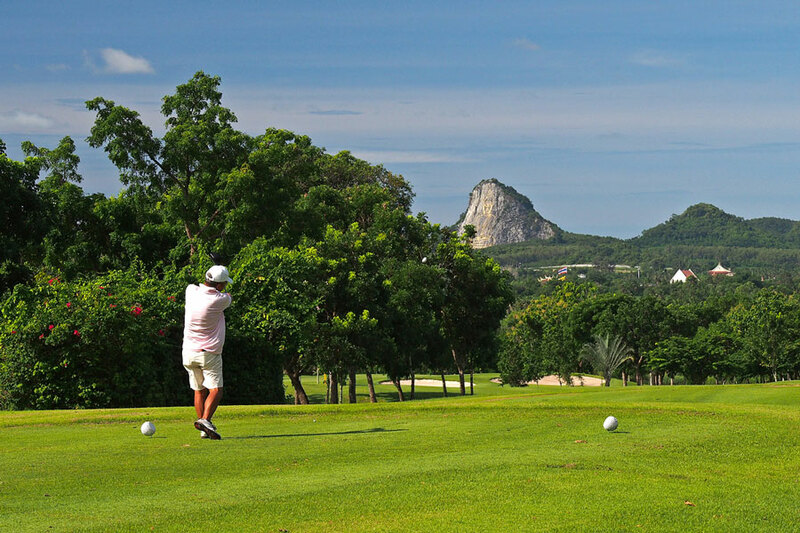 There is large pro shop that has the usual selection of clubs, clothing and accessories but is slightly higher priced than other courses and certainly the golf shops back in Pattaya. The staff appeared to be helpful and knowledgeable without getting into a sales pitch. The main restaurant and bar area is on the second floor overlooking the course and serves a selection of Thai and Western dishes with the odd Japanese dish thrown in for good measure. The prices of the drink and food were very reasonable and the quality of the food was also good and arrived promptly. The conference facilities on site are also of the highest order and would be a good location to hold a corporate or social event although there are no hotels on site. A driving range and practice putting area is available with the range being a short drive away but the practice putting green is located close to the first tee directly outside the clubhouse. The course was in far better condition than what I had experience in the past and this is on the instruction of the new owners. I was surprised at the length of the grass on the fairways as it was a little longer than I anticipated although the ball did sit up nicely so there were no issues. The tee boxes were generally in good condition although on a couple of holes they could have done with areas being returfed. They were all extremely flat so there could be no excuses for any poor drives. Again this is an area where a lot of effort has been made to improve the quality and the overall experience. In the past the fairways had been on the dry side in many areas and therefore very hard although there were always areas of the course that suffered from poor drainage after heavy rain. Thankfully both of these issues have now been addressed and they were all in top notch condition on my visit. The green at Phoenix are very fast but the roll is usual true and consistent. The pin placings can also be tricky so where possible it is advisable to look for an uphill putt. The bunkers have far more sand in them than in the past so this is obviously better for all concerned. The grass around the lip of the bunkers is also well manicured so they are very pleasing on the eye as well as providing a hazard. There are a few refreshment kiosks scattered around the course that offer a welcome break although they are not particularly well stocked. The prices were in line with courses in the area. The caddies at Phoenix tend to be something of a mixed bag with some having been there for several years and others tending to be younger and less experience. The starters do try to mix them up so there will probably be more experienced caddies in your group who will be happy to assist those less experienced. Phoenix has improved a lot over the last 18 months and is now well worth playing. The overall golfing experience is pleasant although on busy occasions there can be problems with bottle necks at various points on the course. All in all, you will enjoy your round and the whole experience. Click here to book a tee time.